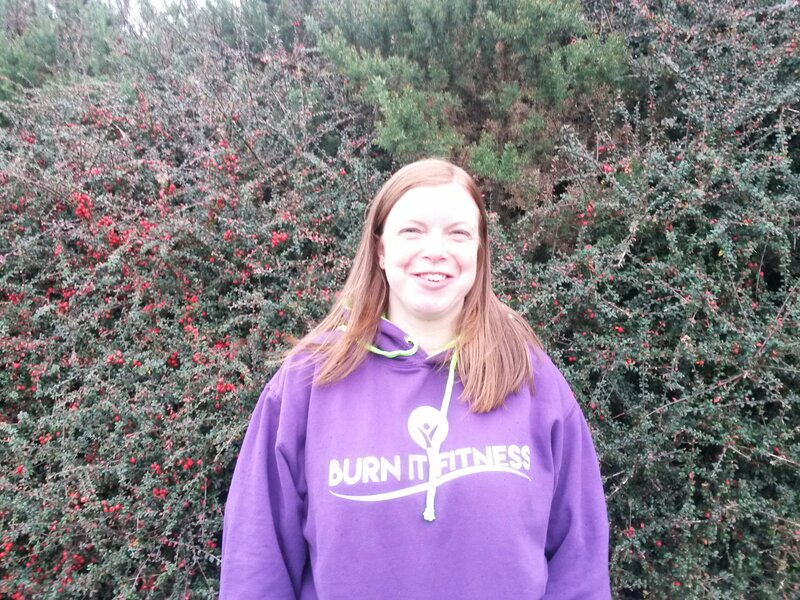 "It is much easier to persuade yourself to go out in the dark/wind/rain when there are 40 other people to chat(moan) with"
I started attending Burn It in July 2017. I had been attending WW before that and had lost a couple of stone but didn’t feel much healthier or stronger after reaching my goal weight so decided I needed to do something about my fitness. My first session at Howden was really tough as I could hardly run from one lamp post to the next but Paul was really encouraging and everyone in the class was really friendly as well with a total mix of fitness levels. The next day I could(literally) hardly walk but that didn’t put me off from going back week after week. I gradually built up my fitness over the rest of 2017 and enjoyed not only the classes but the banter as well. It is much easier to persuade yourself to go out in the dark/wind/rain when there are 40 other people to chat(moan) with and also to give you a quick word of encouragement if you are flagging. I was thinking that I would continuously improve on my fitness after that but 2018 has been a bit up and down. At the start of the year I got quite a bad dose of SAD and lost my mojo. That meant that I didn’t go to as many sessions and when I did my effort was kind of half hearted. Things gradually improved in the spring and I joined the running club which I really enjoyed. Roll on summer I thought but I went on holiday in June and then hurt my back which meant I had to miss Burn It for 10 weeks while I got physio. It was only then I realised how much I needed the classes as I was very grumpy and felt like I had a limb missing without them! I started back in August this year and decided to sign up for the Body Transformation Plus programme to get my focus back. This was one of the best decisions I’ve made as it helped me get my nutrition back on track after eating rubbish over the summer. It also was a great support with the Facebook group and everyone motivating each other and sharing tips/recipes. It was also amazing to see everyone in the group progressing over the 10 weeks and sometimes the difference in fitness or body shape you could see in others would make you smile(or make your jaw drop!) By the end of the programme I had lost half a stone in body weight, nearly a stone in fat loss and several centimetres off both my waist and my hips. I was happy with those results over the 10 weeks and so pleased for everyone else in the group as well many of whom had even better results than I did. I am (slowly)learning that it doesn’t matter if there are other people who are faster than you and that there will often be things that get in the way eg. work/life/colds/flu/injuries. What does matter is that every time I go to a class I am creating a fitter/healthier/happier version of myself and I am continuing to set and achieve goals. The instructors are amazing and are always there to support and encourage you especially if you have a wobble or doubt your abilities occasionally. The group of people who attend the classes are so supportive to each other and encourage you every step of the way. In sessions in the past few weeks I have run over the Forth Road Bridge and back and have also done 20 climbs of the Livi Stadium stairs and 3 laps of the stadium so I have come a long way from not being able to run from one lamp post to the next. That(and the people) are why I will keep attending Burn It week after week.